With more and more users looking for better Download Managers than the default, it is not surprising that even Mac Users want the best Download Manager for Mac. So, if you are a Mac User looking for a Free, reliable, effective and smooth Download Manager, you’ve come to the right place. Download Managers are handy software that will manage and take care of everything you download from the internet. A good Download Manager goes a long way in improving the speed and quality of the downloads, as well as making Downloading files less of a hassle. Download managers may be built into a browser or be a standalone application. In this article, we have listed the top Download Managers that you can use on your Macbook. All of these are reliable and good downloaders. Now, your downloads will be as good as IDM. Let’s get started! Folx (Free and the paid versions) is hands down one of the best Download Managers for Mac. It improves your Download Speed by splitting the Download into 20 threads when you’re on multiple connections. Folx lets you search and selectively download whatever you want. Using Folx, you can download directly from YouTube, control the speed, search for torrents (PRO), and schedule your downloads. We highly recommend Folx for your Mac. Get it here. 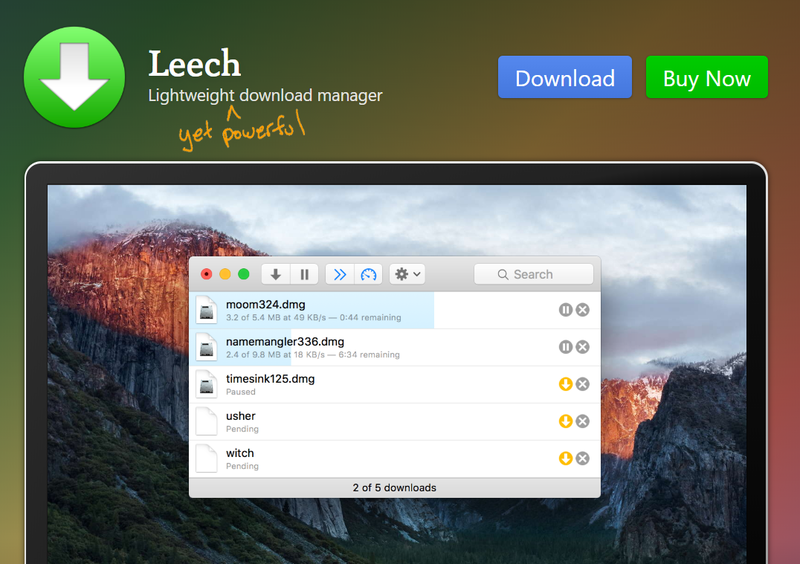 A hit in the download manager market, Leech is a 6$ lightweight Download Manager that is for people who want minimal and premium quality. Leech has a simple and interactive interface, it is not intruding at all when you browse your computer and gives you a whole load of options for downloading. You can sort your Downloads into subfolders, add extensions to Safari so that any Download will directly go to Leech, and so much more. Definitely, worth the price, you should get Leech here. iGetter is another feature-packed Mac Downloader that will take you at least a week to fully explore. No more broken downloads, if you have something downloading and you put your Mac to sleep, when you open it again the Download will resume. With accelerated downloading, iGetter divides your download into multiple parts so facilitate faster downloading. Also, the free version has all the features, and you don’t need to buy the Pro version. Get your hands on iGetter. One of the best download manager extensions you can get, DownThemAll can significantly increase your top speeds, you can pause and resume downloads as per your wish, and downloading multiple files has never been easier than with DownThemAll. It’s worth a try, and the only downside to it is that it is only available as a Firefox extension. If that is not a problem for you, can check out DownThemAll here. 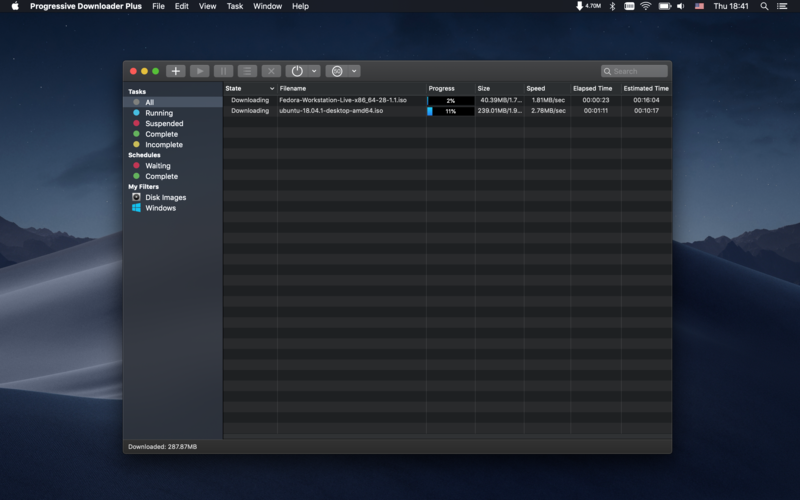 Download Shuttle is also a great Downloader for Macbook. It features automatic clipboard capture, and you can pause and resume your downloads whenever you want. Download Shuttle also provides fast downloads by splitting the download into segments. However, some users complain that this extension does not work in a lot of browsers, so check if it works for yours. Download shuttle also supports password protected files. The extensions on this software make it worthy as one of the best Download Managers for Mac and that too for free. Get it here. Known for the staggering download speeds, if you want to increase your Download speeds to up to 500% (yes that’s correct), then Xtreme Download Manager is for you. It can save videos from pretty much all video websites, take care of broken downloads and even provides smooth and easy integration with any web browser. This application might sound too good to be true, but it is. Even if a download has gone dead due to say, a connection problem, Xtreme Download Manager will be able to revive it for you. It supports multiple files downloading, checks files for viruses, and you can Schedule your downloads. Get this beast of software here. Progressive Downloader for Mac is a favorite to a huge range of users. It has support for integration with all browsers. When downloading files, it will automatically search for the fastest server to enhance speed. You can also schedule your downloads as per wish. 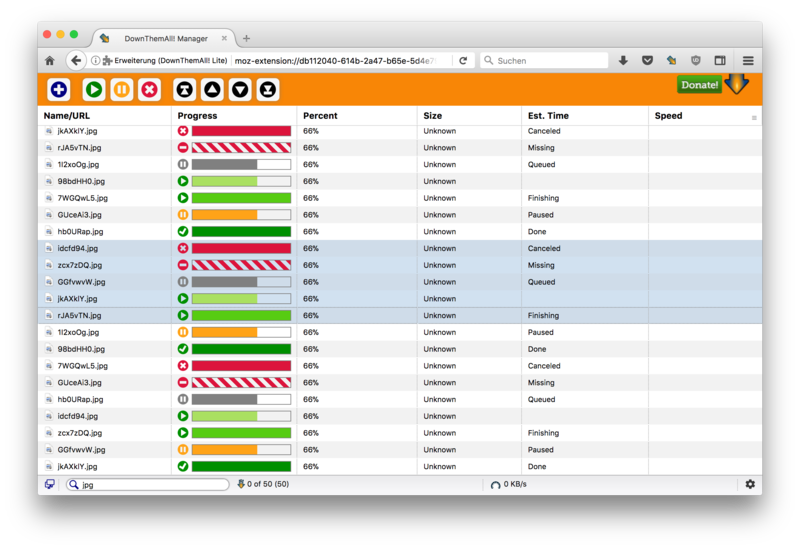 Progressive Downloader can control your resources with FTP/SFTP built-in browser. It can also choose from a whole library of file hosting services. That’s it! These really are the best download managers in the market for your Macbook or any other MacOS device. However, you can also take a look at these other download managers, and see if they suit your needs: Speed Download Lite, Maxel, Jdownloader, iNetGet. We hope that by reading this article you were able to choose the best download manager for your Mac with top-notch specs and interface to suit your download needs. If you have any queries regarding the Download Managers mentioned above, you can drop us a comment below and we will try to get back to you with a relevant answer.